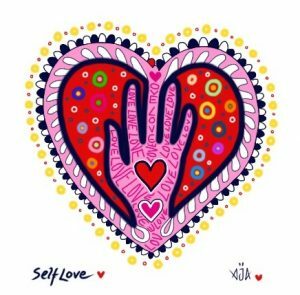 Loving Your (often) Unlovable Selves – Love Yourself To LIFE! Falling in love with sadness, depression, despair might sound ludicrous, but if you are an empathic being who responds well to the vulnerability in others, you are, in a way, doing it all the time. But around others, maybe not so much for yourself. For me, in my existence, I recognise my response to the deep sadness and depression in others as being gentle, accepting and welcoming. I can often be blinded to what’s alive in another, usually because I’m being blinded by what’s glaringly alive in myself, yet, when I’m in connection with another, and they are being brave enough to be open and vulnerable; they are expressing, sharing, showing that they are feeling low, challenged, sad, depressed, suicidal even, then my response naturally is to open to them. I open, because in their raw vulnerability my heart unlocks and compassion wells up within me and seeks to come forth. I resonate and empathise with them. I feel them. And I feel myself. I feel it all. And my natural response to another who is allowing this to be seen is to love them. I connect in at a heart level. I look them in the eyes. I listen. I reassure. And by ‘reassure’ I mean I reassure them that they are safe being in the state that they are in, in my company. I do not mean that I say something like “ah, it will get better”, mah! That’s just one trying to reassure oneself! I listen. And in my listening and response I show that they are safe being with me WITH their experience. I invite them to BE how they are. I don’t try to talk them out of it. I just naturally do my best to gently welcome what’s alive, to be there. When we are allowing like this, we are extending love. And in this extension of love it often happens that the others internal emotional knots somewhat unravel. No one is ‘doing’ anything. In fact, it’s in the NOT doing, and NOT trying that ALLOWING exists. And by ‘allowing’ I mean just not trying to change or avoid anything. When we graciously meet each other like this, when I ‘hold space’ like this for another, I receive the love too. I am allowing what I also need – to connect, to feel compassion and understanding. And as the other softens, just as a by product of being seen and heard, a calm loving wholesome wave bubble appears, and often both parties feel uplifted – not because we were looking for upliftment, but because we were ALLOWING WHAT IS. When I am in these experiences it is LOVE that fills me up, as I sit with, listen to and really HEAR the other. And when love fills me up, I am IN LOVE! And why am I in love? Well, because I allowed myself to be present with someone’s experience of sadness. I allowed myself to be present with someone’s struggle with depression. I allowed myself to be present with the suicidal exasperation within another. I allowed myself to just BE with them. There’s a strong force of entanglement in the vibration of loving acceptance. When you just allow the struggles, the tears, the sobs, the resistances etc to be in your company, your very state of BEing enables the other to unravel into a state of BEing also. How does that looks when you offer that state of BEing, that kind of support and friendship to yourself? How would that show up? How would that act out? How is your inner suffering self any different from a loved one who is suffering? Can you extend the same presence to yourself as you can to another? When I first consider this idea I have to split myself in two! To see – who’s struggling? And who’s BEing compassion?! And then I try to see ‘How can I be in these two places at the same time?’ for example – crying and sobbing, yet BEing in compassion and offering true reassurance to my inner self. Just like in the relationships and experiences I talk of above the first step is that the suffering being is being brave enough to make it be known that she is indeed suffering. This means ‘being vulnerable’. And just like I would with a loved one when I detect that vulnerability I quantum drop into a deeper space of awareness and presence. I can’t look myself in the eyes always, unless I have a mirror or I visualise inside, but to put my hand on my heart and focus my energy there is to feel into the eyes of my soul, and this often feels most connecting. When connected in with her I tell her – I speak, I say, I telepathically transmit that I am present, that I hear her, that I’m listening. She may want to share more. She may not. The point is is that I am allowing her to just BE as she is, and I’m not trying to change it to make (another aspect of) me less afraid. Mostly I just listen and tell her things she needs to hear, and that I genuinely mean. 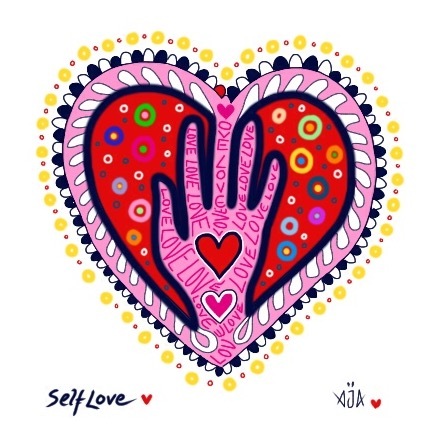 Things like ‘I love you, thank you, I love you, I LOVE YOU!’ I can say that and genuinely mean that because in those moments of connection I am feeling love and sending love. I am being love and radiating love. I am expressing love and sharing love. That’s what happens when you start falling in love with the mistakenly unlovable. Each time you choose the self loving welcome and embrace, you’ve fallen! May we all gently fall into the LOVE that we innately are.